Deck you doors! We are gathering to make a beautiful Christmas wreath. We will use all the materials we can find. 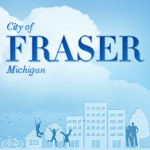 This event will be held in the Meeting Room at the Fraser Activity Center.